Its not easy to get there. Multiple hour drive including a 7 mile dirt road section followed by a couple hour hike over steep, often loose rocks. Being in the high desert, its often too hot or too cold. While we were there it rained and the wind chill was no joke. However there were moments of sunlight and lots of photogenic ranch lands along the side of the road to keep it interesting. It was raining as we drove the last couple miles of dirt road to our camp site. With about 4 hours of day light left, we decided to hike in the rain to the Springs. Gearing up for a high desert hike in the rain to a location neither of us had previously visited with limited day light left, we were a bit excited to say the least. However with rain coats on, flash lights packed and my trusty camera in the water housing we enjoyed the adventure, jogging most of the way, stoping only to photography the numerous wild flowers blooming in the spring rain. After a quick soak in the hot springs with a sprinkling of freshly picked wild flowers we packed it up and hightailed it back to our camp site as dusk began to settle over the valley. Made a small fire next to our camp and packed it in for an night early. 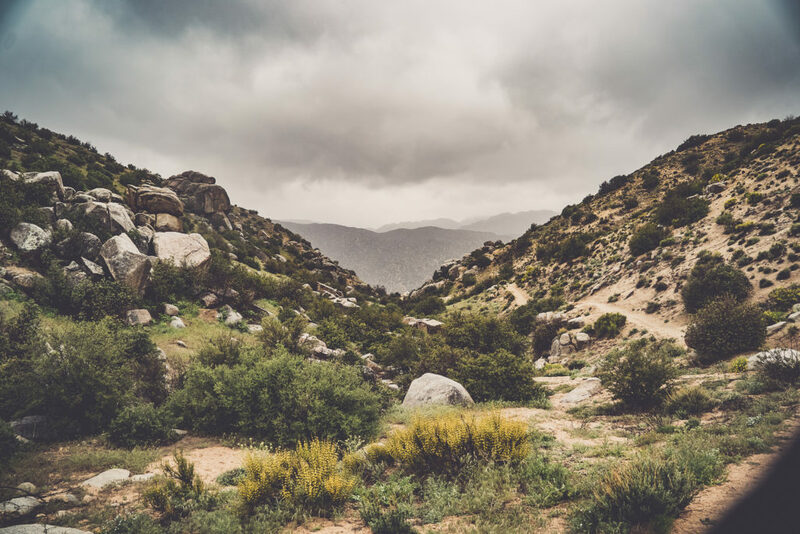 It rained gently throughout the night but out little tent was cozy and dry as we listened to the sounds of the desert. In the morning we were headed back to the hot springs and hoping for a little sunshine. 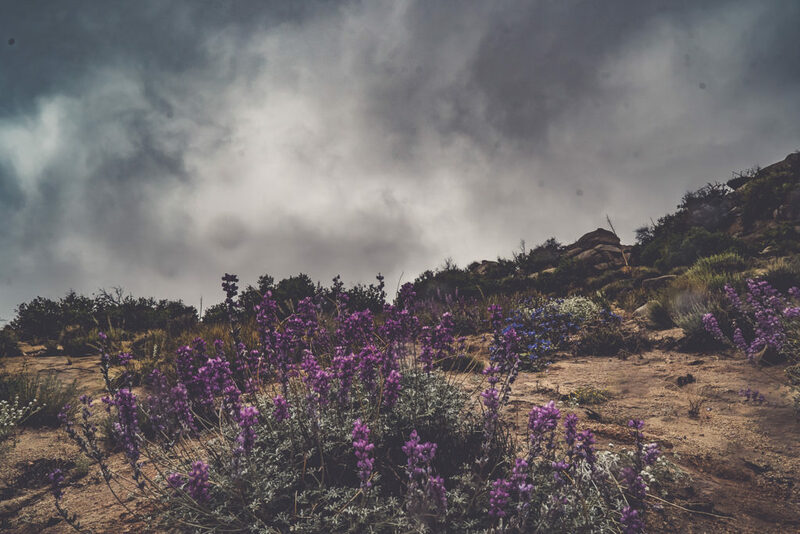 Although the sun was missing for most of the day, the clouds formations were second to none providing a dramatic backdrop to the contrast of colorful desert bloom and charred remains of recent fires. Life in the desert is a beautiful contrast of life and death and a great reminder of the fragility of life and the determination required to thrive on this planet.